Rio Grande Valley congressmen asked the Federal Emergency Management Agency administrator Wednesday to send more Spanish-speaking workers to the area. The letter was sent in response to “a complaint from Texas state Senator Eddie Lucio Jr. regarding the lack of Spanish speaking FEMA representatives helping those affected by the floods with recovery assistance,” according to a news release sent by Gonzalez’s staff. Currently, “every single person who is helping people speaks Spanish” in the disaster recovery centers, like the one recently opened in Weslaco, according to FEMA Public Information Officer Robin Smith. FEMA Disaster Survivor Assistance crews conduct door-to-door visits in areas affected by last month’s storms, which left parts of Hidalgo and Cameron counties flooded. In the Las Milpas area of Pharr last week, at least two of the four representatives canvassing the area by foot spoke both English and Spanish. The crews also left flyers in both English and Spanish at homes where no one answered the door or were inaccessible. Prior to sending FEMA crews to counties affected by a disaster, the agency verifies needs of the region through Census data as well as elected officials, according to Smith. In this case, Spanish speakers were sent to the Valley, including some who worked in Puerto Rico after Hurricane Maria and in Houston after Hurricane Harvey. 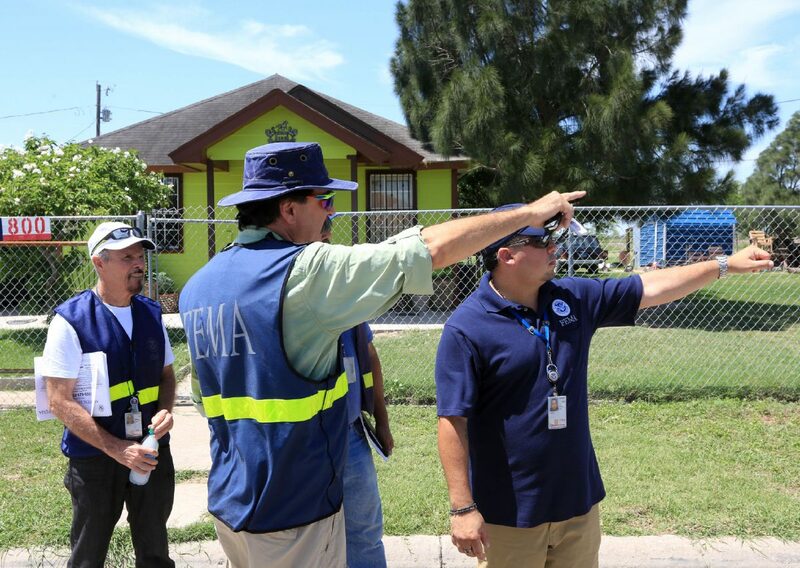 FEMA employs Spanish-speaking representatives who were sent from across the country to the Rio Grande Valley. The agency also sent a bilingual media representative who communicates with predominantly Spanish-language television stations in the market. In Hidalgo County, 85 percent of residents who are over 5 years old speak a language other than English at home, according to U.S. Census Bureau data. “No person should run the risk of being denied assistance due to language barriers,” Vela added. The congressmen also thanked Long for facilitating the disaster response in the region. “Please know that by helping our communities rebuild and recover from all that was lost, you have impacted countless lives for the better,” the letter read. This story was updated to reflect minor edits.